More Sneak Peeks – Tihei and Dancing in the Dark pump up the volume. 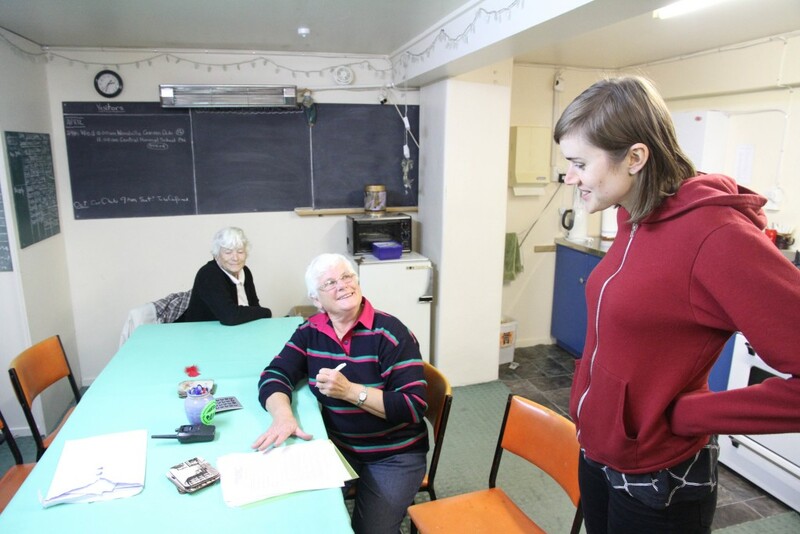 Hot off the presses we have a photo update of the latest activity from our teams. Check out some of the images coming through as the production phase keeps the teams on their toes. 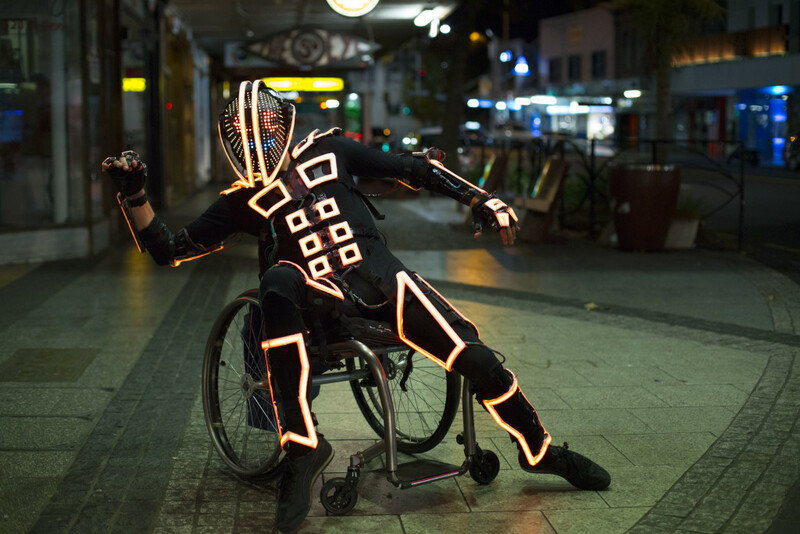 Dancing in the Dark and Tihei have been taking it to the streets, capturing some magic, freestyling and throwing some shapes. Dancing in the Dark lighting up K’ Road. Director Rowena Baines perfecting her shot. Dancing in the Dark stills courtesy of Rodrigo Villalobos. 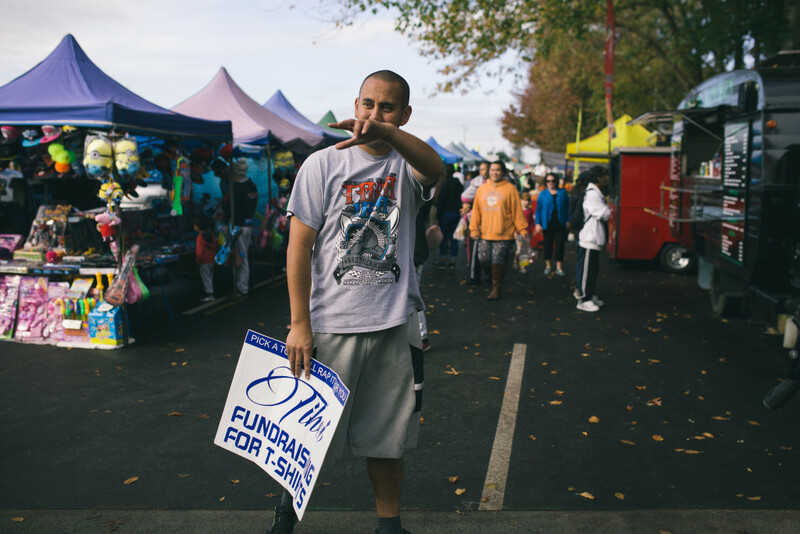 Tihei breaks it down at the Otara Market. 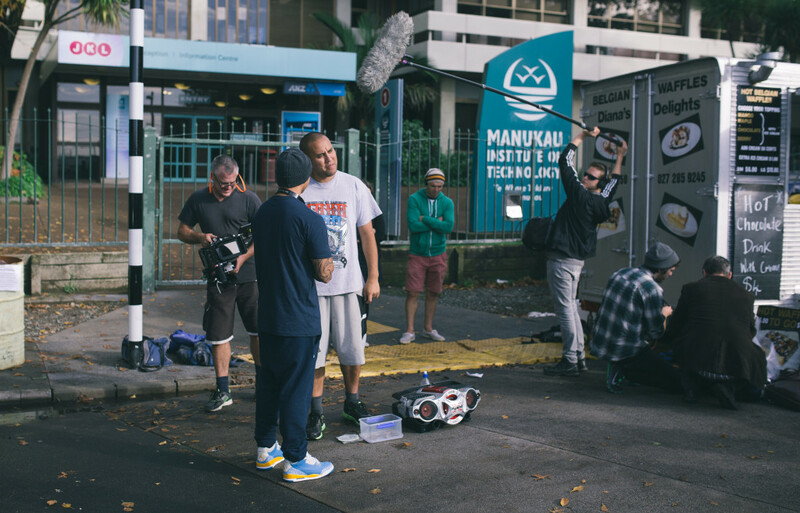 The Tihei crew at work. Tihei still images courtesy of Jean Kim. Its been all fantasy, palaces, madness and wine here at Loading Docs when four of our documentaries entered their shoots. Madness Made Me have completed shooting with their subject and are busy working on a compile edit with our gun editor Lisa Greenfield. 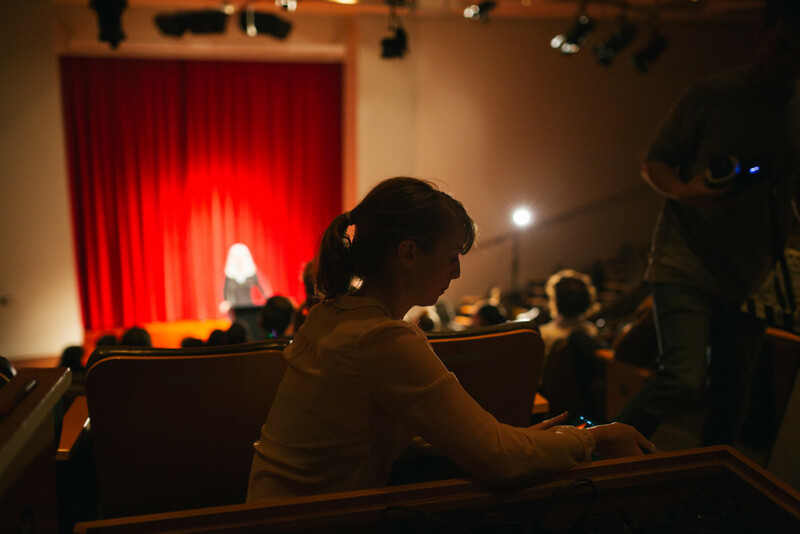 Here’s a shot of Director Nikki Castle on set filming openly mad and influential mental health leader Mary O’Hagan. 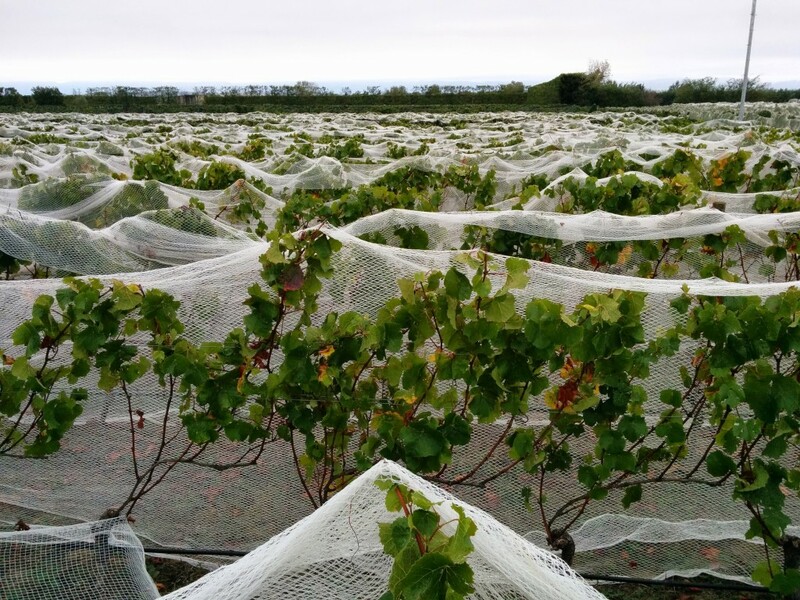 The Kusuda team were at the mercy of the weather and the vines for their shoot. They needed to be poised to visit Hiro on his vineyard in Martinborough the moment he indicated harvest would start. They have completed shooting and are in the beginning stages of their edit. Check out the magnificent location they were working on. A light-filled, lustrous event took place at The Crystal Palace in Mt. Eden last week. 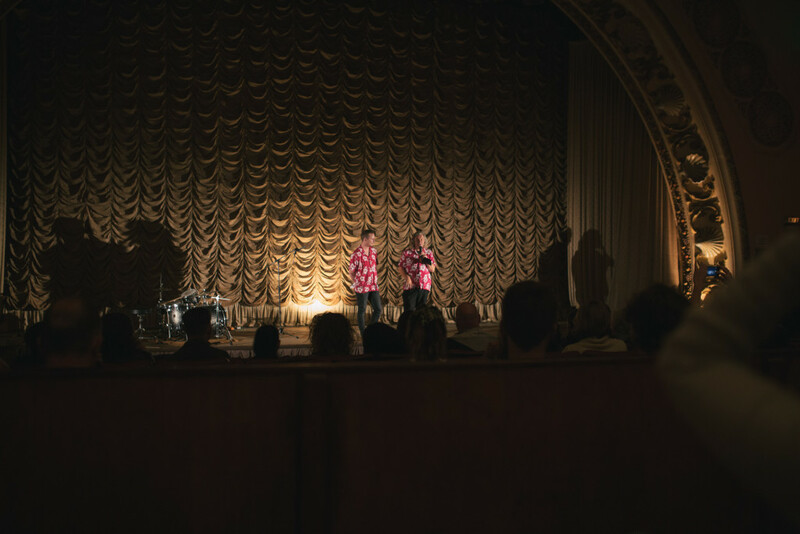 The Please Open crew lit up the theatre to showcase its former glory and there was a public screening of the cult 1960’s classic kiwi surf film Children of the Sun with live music by The Echo Ohs. It was a great night with an impressive turn out. Michelle Savill with two of the volunteers who keep The Dannevirke Fantasy Cave going are pictured below. The cave dwellers warmly welcomed the Fantasy Cave crew into their lives and the team have completed their shoot days. Onward to the edit suite!